My name is Selene and I graduated from Richmond High School in 2011. I am currently in my third year at UC Berkeley majoring in Social Welfare with a minor in Education. I would like to offer all of you two brief pieces of advice about your soon to start college journey. First of all, remember your passions outside of the classroom. It can be hard especially when your term is in full swing with papers and tests to find time to relax. However, if you spend all your time on your school work you will eventually be too tired to finish the term. Remember to take study breaks and even if you can’t take a whole day off take half an hour off from studying to do something that makes you happy and helps you release your stress. If your way of spending your down time right now is to listen to music, watch movies, go for a hike, go to the gym, draw, etc. don’t simply quit doing these things because of your busy college schedules.Continuing to do these things will help you stay focused and motivated. Part of succeeding in college is taking care of yourself not just GPA or being on the Deans List. You won’t be able to perform your best in class if you are not feeling good. Plus hobbies are great ways to bond with new friends, meet new people, and even get involved with student groups on campus. Second, I suggest you explore other departments other than your own major or concentration. Don't restrict yourself to just one area. I think one thing I try to do when I plan my class schedule each semester is to find one class out of my major to further enrich my education. You might love your major but there is so much other knowledge available on your campuses so take advantage of it. Even if it might seem pointless to take some class that won’t fulfill any of the many requirements you have to meet to graduate taking it can only help your academics. During a hard school term having one class to lay back and refresh your focus can make all the difference. Whether it will motivate you to go to class every day or even point you into a different career path the experience will be worth it. Don’t be afraid to step out of your comfort zone and explore different areas of studies. I suggest humanity courses to be especially good choices because of their variety. Take advantage of being able to take classes for something other than a grade, if that is an option available to you. At UC Berkeley you are allowed to take some classes for a pass or no pass, with no effect on your GPA. However, if you feel very confident in the area take it for a grade and boost your GPA. Classes out of your department will add some variety to your college transcript. I have found my own major advisor to be a great source of knowledge as to what classes out of my department would be good options. Major advisors might seem in some cases really busy or just not approachable but they might actually be really nice people and don’t forget they hold their job position for a reason. Also they have tons of experience and connections within your department to help you during your college career and after. Try to visit your major advisor at least once a semester, if not more. Lastly, remember that college will be a learning experience and its okay if you make mistakes. Seek help when you need it, take care of yourself in every aspect, and stay motivated. Don’t get too caught up about grades that you miss other opportunities to enrich your life. Most of all don't forget you made it into your university or college for a reason. If you have any questions about UC Berkeley I would feel more than happy to help you where I can. Feel free to email me at scalderon93@gmail.com. My name is Julia Chang, and I am a first year at UC Berkeley. I graduated from Pinole Valley High School last June, and took the World Religions course at Vanderbilt University in the summer of 2011 as well as the Grand Strategies course at Yale University in 2012. Upon completion of my first semester at Cal, I wish to share a plethora of lessons I learned with you prospective college students and detail a few of the new experiences that college has introduced me to. Though I am sure you are aware that collegiate academics differ greatly from those of high school, it is a point that I cannot disregard when discussing what you ought to expect after you graduate high school and enter into this faster-paced, more challenging academic world. Keep in mind that, to a large extent, you will be in charge of your education – not your parents, professors, TAs, or tutors. It will be your responsibility to complete your work on time, ask for help when needed, and push yourself to greater heights. You may find that quite often, midterm and final exams will determine the majority of the grade you receive. Thus, there are fewer opportunities to “boost” your grade in college as opposed to high school, where daily homework, quizzes, and extra credit comprise a greater portion of your grade. None of the classes that I took last semester offered extra credit, and I do not know of any that do. Therefore, it is extremely crucial to perform to the best of your ability on exams. This requires focus and effort. I found myself studying more than I ever had before in preparation for my exams, spending countless hours in the libraries pouring over notes and practicing problems. You will learn that what you put into your schoolwork – studying, reviewing, asking questions – is what you will get out of the class – knowledge, personal growth, and, of course, a letter grade. In addition to balancing your course load, you might be interested in joining a campus organization or club that serves one of your interests. In high school, I took handfuls of AP classes and led a handful of clubs. In college, it becomes increasingly difficult to spread yourself thin so much. The academics are arguably much more challenging and time-consuming, as are extracurricular activities. I joined the American Red Cross at Cal last semester, which works with the larger Bay Area chapter to provide disaster preparedness/relief, community outreach, education, and so on, to the campus and greater community. I am serving as an intern this upcoming semester and will be a Youth Services Coordinator later this fall. Joining a student group is a fun and engaging way for you to become more involved on your campus. In addition, you will have the opportunity to meet fellow students who share a common interest with you. College can seem like a big place in comparison to high school, and it may seem like an easy place to get lost in the crowd. I encourage you to be open and immerse yourself in the rich extracurricular life that your college has to offer because there, you will be surrounded by a smaller community of students with whom you may establish great friendships and share memorable college experiences with. College is a time in your life where your greatest and primary responsibility is to learn. I have learned so much in just one semester at Cal – not only about the material presented in the lecture halls and classrooms but about myself as well. The next four years or so of your life will be your opportunity to grow academically and personally, so take advantage of what your college offers you. Do not be afraid to take a random class that you have a slight interest in or join the student organization where you can have fun or do something impactful with. Opportunities lie everywhere – you just need to seek them out and seize them. I wish you all the best of luck with all that you choose to do wherever you choose to go. Please do not hesitate to contact me with any questions you might have regarding Cal, college in general, or anything of that nature. I would be more than happy to help. I would love to share whatever brief input I could to help educate other students in our district about succeeding in college. I have found my first semester to be a drastic change from high school, but I learned how to make sure I got the support I needed and could not really imagine the semester having gone any better. I believe the most under-emphasized resource available to students in college are office hours, whether they are of your professor or Teacher's Assistant. Office hours are a time where you get one-on-one assistance and guidance through whatever you need- it doesn't even necessarily have to pertain to the specific class you are in. They are thoroughly happen to meet students showing an interest in learning, and I know many people who do not take advantage of this because it may seem intimidating at first. Know this is under your own jurisdiction, as well as any homework or other assignment from now on in college. There is no one who is going to remind you about due dates. Take initiative to get things done in a timely manner- especially reading, as there will be much more of it in college than you will have experienced before. Know that this is a time of your life to meet people from many different backgrounds however, and do not immerse yourself in studying to the point where you are not enjoying yourself and making new friends. I have sometimes found that I learn the most from conversations with my peers. Regardless, college is a time to develop and experience new things, so do not be afraid to do so! My name is Adrianne Ramsey and I am a first-year student at Sarah Lawrence College. After reading so many college testimonials over the years, I will admit I am a little shocked that I am sitting here writing my first one. While I am still figuring out the world of college, I hope that one will find a “lesson”, whatever it may be, within my words. Sarah Lawrence has an interesting and somewhat complex academic system. First, students take three five-credit courses each semester, and “conference” makes up a big bulk of the coursework. In short, students meet with their professors every other week for thirty minutes (conference) and discuss an individual project that they will create for the class. The project, which for most students is a very long paper, is worked on over the course of the semester. Second, all first years are required to take a yearlong seminar (First Year Studies) in a subject they are particularly interested in (course choices are submitted to the academic committee during the summer). The professor who teaches your FYS is your don, who is your academic counselor for the next four years. Dons help students navigate which courses they want to take, provide them with advice, and make sure they are keeping up in their FYS. Third, Sarah Lawrence prides itself on having an open curriculum, which means there are no general-education requirements and students can virtually take any classes that they are interested in. My FYS is a Fiction Workshop, and I wrote two short stories that were 10-12 pages each for my conference work. In addition to my FYS, I took two semester long courses, History of Photography from the 19th to 20th Century (a lecture course) and 18th Century British Theatrical Literature (a seminar course). For my photography conference, I wrote a 7-page paper about how documentary photography aided the American Social Reform Movement (1880-1936). For my British Literature conference, I wrote a 20-page paper on gender and narrative tone in the novels Oroonoko (Aphra Behn) and Princess of Cleves (Marie-Madeline de Lafayette). The first semester of college was quite an adjustment period for me, not only in terms of academic rigor but also figuring out what direction I wanted my education to go. My lecture class was accessible because there were 40 students, but my two weekly seminars consisting of 12 students each was an extreme change of pace from my high school classes of 35 students. I loved my don and the close discussions that went on during my fiction class, but they were initially very intimidating. When we began to read our stories aloud, I saw that majority of my classmates were abstract writers, meaning that they provide many detailed scenes and do not immediately let the reader know what the arc of the story is. I am an expressionist writer, meaning that I like to get to the point and always let the reader know what is going on. I was completely blown away by my classmates’ stories and would always dread reading mine. I would pray that everyone else would get over his or her shyness so I could read my story last. These insecure feelings didn’t sit well with me. I consider myself to be a very confident writer and am usually very proud of my work, but in this situation I felt that my stories were minimal, lackluster, and mediocre compared to my peers. When we began to discuss readings, it took a while for me to break out of my shell and contribute. Things began to change when I started to write my first story for conference. I believe that first conference story was the turning point for me in terms of becoming confident in my writing again. I really began to work harder on adjusting tone and dialogue, providing the right amount of details to where I didn’t confuse the reader but didn’t make everything entirely obvious, and going deeper into the minds of my characters. It was an enlightening experience and also helped me to speak up much more in all of my classes. When I began to work on my second conference story, I felt much more confidant. I thought to myself, I can do this. My don was also very supportive and helped to boost my confidence over the course of the semester. I had two very different reactions to my semester-long courses. First, I came into college thinking that I wanted to take many world literature courses. But halfway through my British Literature class, I regretted that wish. While I hate to simply say that a class is “boring”, I am not exaggerating when I say that every discussion was painfully dry and those times I spent working on my conference project were some of the lowest points of my first semester. I don’t hate the concept of literature classes; I really do love reading. I just had a professor who led class discussions very poorly and did not provide enough historical context of 18th century Great Britain. Thus, British Literature was not a joyful experience for me. However, I refuse to say that the class was a “waste of a semester” because it wasn’t. I was able to successfully finish a 20-page paper and realized that I would rather not pile on a load of literature courses. Second, I was pleased to discover that my art history professor was down-to-earth, brilliant, funny, and, to put it shortly, awesome. At Sarah Lawrence, lecture classes have “group conferences” in place of individual conferences in which 10-12 students discuss a subject in accordance to the class for an hour. My professor ignited the conversation and guided it if it digressed, thus prompting students to think as critically as possible. In class I learned about the origins and scope of photography in France, America, and Great Britain, and in conference explored many different aspects of photography, such as discussing spirit/trick photography and looking at images from D-Day. When I took film photography in high school I had always wanted to learn the history behind the medium, but didn’t know where to begin. Writing papers for my photography class was a synch because I was fully immersed in the subject. As I read the required readings/essays for lectures, I developed a strong drive not only to finish the reading, but to also read in a way that made each piece meaningful and relate to my interest in photography. Sarah Lawrence doesn’t have a designated time for midterms/finals, but the last three weeks of semester are bunched into what is called “conference week”. This was the time when I saw my peers bleary-eyed, sipping endless cups of coffee, and spending the night in the library working on the conference projects that they had procrastinated on all semester. My roommate spent 20 hours in the library working on six different papers and didn’t sleep for 2 days. Fortunately I had been working very hard on my conference projects all semester and was able to finish them a week before the semester ended. I realized what academic strategies weren’t going to work for me and cut them out early. Honestly, as long as one stays balanced, organized, and keeps track of all their deadlines, making it through conference week/finals is relatively simple. I worked and studied hard, and it definitely paid off and I plan on staying at this ideal academic level. Extracurricular wise, I definitely stepped back a lot. In high school I participated in ten activities; this semester I wrote articles for our school newspaper The Phoenix and am still in the process of writing articles for our school blog SLC Speaks. At the beginning of the semester I was very self-conscious and annoyed with myself for not joining a lot of clubs. I felt like I was doing homework all the time, which was true. I didn’t understand how so many people were able to balance being in so many clubs and having so much conference work. However, looking back I am happy that I chose to focus solely on academics and hope to join more activities next semester. 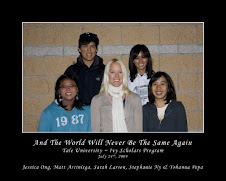 My college experiences were not solely academic based; dormitory life played a big part. At the beginning of the school year, I lived in a six-person suite. This consisted of a triple, a double, a single, a common room, two bathrooms, and a kitchen equipped with appliances. While this is luxury (especially for first-years! ), nothing stayed peaches and cream for very long. Four of my roommates ended up moving out of the suite due to their own personal issues. One even left the school and returned home shortly before the semester ended. Luckily, my best friend Isabelle moved into my room. It is a slumber party every night, which provides a very positive environment for the both of us. Although so many people moved out of my suite, it was common for me to hear from friends who did not really connect with their roommates or returned to their rooms feeling as if they were entering a battlefield. The best advice I can give regarding not only roommates but also students is to have a default attitude of being patient, respectful, and welcoming. I often made strong friendships with people I probably would not have befriended in high school. Random conversations or situations also sparked friendships. Bottom line is, have a pleasant and positive attitude towards others because it will make your overall day-to-day experiences nice and your overall experience rewarding. College is an amazing experience, and you don’t have to be at Sarah Lawrence to know that. Being in any college is an incredible accomplishment. Your experiences and struggles in college will be your own. There may be times where you feel like nothing is going right, you don’t belong, and you want to go home. But trust me, things will get better. It’s a blessing to be in college. Stay true to yourself and your passions, and continue to chase after your dreams! 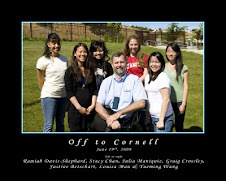 As one of the participants in the Ivy League Connection's 2010 summer program at Columbia University, I was given my first look at college life at the university I would be fortunate enough to matriculate to. I was able to experience New York City in one of the best ways imaginable: as a student at a world class research institution. This gave me incredible access to the city, and to amazing instructors which made New York magical for me. 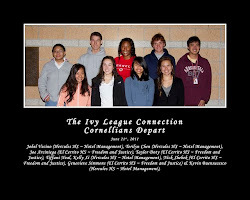 Participating in the Ivy League Connection was one of the best experiences of my life and I'm incredibly grateful for the opportunity. As a junior at Columbia University in NYC I'm finally getting the hang of balancing all the different aspects of my college experience: classwork, extra-curricular activities, work-study, social life, and sleep. Settling in to my majors (African-American Studies and Jazz Studies) has also been really fun since I'm taking more upper division classes and I'm definitely enjoying priority registration as an upperclassman. 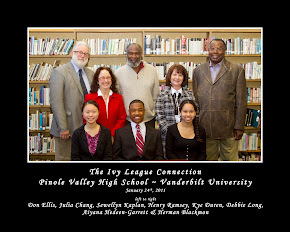 I was recently awarded the Kenneth Cole Fellowship for summer 2014 and my extra-curricular activities include being the Vice-President of Students Against Mass Incarceration, a member of the Black History Month Planning Committee, a tour-guide for the Undergraduate Recruitment Committee, a member of the Multicultural Recruitment Committee, a performing artist (I'm a jazz bassist and I play gigs) and hopefully next semester I'll be able to resume tutoring at the Double Discover Center-a tutoring and academic enrichment program for high school students. I also have two work-study jobs, and a really active social life but it isn't to difficult to juggle my interests and my school work with a little elbow grease. Something I've learned over this past semester is that just like in high school, junior year is quite difficult so it is important to be prepared for the challenge and ready to work. However, having a solid support group definitely makes this easier. I struggled with finding that support group initially at Columbia, but I have been able to build a solid network of people I genuinely like and enjoying being around. I did this through finding like-minded individuals in the extra-curricular activities I'm passionate about, being open to making friends despite differences we may have, and making sure I'm investing my time and energy into worthwhile relationships rather than trying to change people to be the friends that I need. I wish I had known this and made the according changes in my life sophomore year, and that's my biggest suggestion to you all. 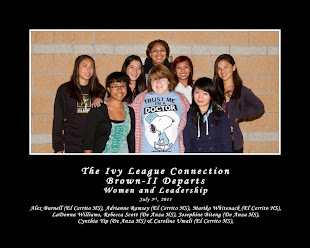 It has been exactly one year since I’ve reflected on my whole college experience for the ILC. It’s been just as long since I’ve been home in the Bay Area. To say that there’s been a lot of changes is an understatement. Truly, I am having trouble starting sentences because just thinking through all I want to talk about (and don’t) feels overwhelming, let alone challenging to organize into a neat narrative. At least, that is how I feel about my college experience thus far. For inspiration, I decided to read through my last ILC reflection from one year ago. Given that there was rarely a dull moment in-between then and now, I was excited to reintroduce myself to someone I had more or less forgotten under layers and layers of new memories. By the end of reading my post however, I found it both eerie to realize how much dissonance now stood between me and, well, me, but also – and more personally striking – what it was that we still shared that prevents me from feeling completely detached from her. It is difficult to keep track of all the episodes that contributed to this ‘transformation’ but that’s probably the best way I can describe the college experience so far – my own at the very least – when you expose your mind and heart to all it has and can offer you. As a result, I feel that the best way to ease into this reflection is to assess who I was one year ago. Back in 2012, Dyana was at what she called “an epic liminal” space at the University of Pennsylvania. Making the most of her time was a leading concern and subsequent catalyst for much of her spontaneous actions. Even though she couldn’t help but view herself wedged in Penn’s undergraduate culture of inseparable pre-professionalism, she remained optimistic about being in an environment that always gave her inspiration for constructing her “complicated blueprint” of “her place on campus”. Though the optimism she expressed was genuine, it was also the default-by-habit way she knew how to address anything that was unfamiliar and unresolved. However, unlike not knowing something she read in a book, or not knowing where she would go to college, the ‘magnitude of importance’ that seemed to come with – and she also let manifest into – thoughts about her place in the future after college, gradually became so frighteningly paralyzing that it was also easy to forget that it was supposed to be exciting as well. Perhaps this was a typical phase of many freshmen’s experiences. I had just returned home after 5 months of being away on my own for the first time and the greater difference of time remaining of the semesters I had left at Penn, juxtaposed to the time I had used up so far was large enough that any ‘mistakes’ made in my first semester could still be comfortably redefined as ‘fine opportunities for growth’. Ironically, however, it was my desire to be mature about college in such a black-and-white way that made me most naïve. In actuality, the time I always felt I was racing to beat was largely self-imposed and only further blinded me from realizing that constantly thinking about the future meant I was missing out on appreciating the present. Since my middle school days to now, I’ve been told that college is the place to find oneself but I realized that I did not know what I was looking for. Decidedly taking a liberal arts approach to my undergraduate Penn education also made me realize this sooner, for I found myself entering phases of deep criticism and skepticisms about such reoccurring motifs as fidelity, morality, objectivity, truth, etc., that it was impossible for me to keep such thoughts only within the confines of classrooms. Before I knew it, I became as much of a reflector of the content I was learning as the topics I would write papers about, and when you start to find it hard to resist thinking about additional aspects of problems that were not explicitly stated, daily life stubbornly slows, demanding a thorough double-take. Thus, the choices one makes during college, and how, are so important. Not – and I really stress this – because everything you do in college suddenly has this magical weight of importance relative to any other time of your life, or that every decision you make is from here-on-out trajectory to your post-college career(s), but because the unique environment that you are in gives you an opportunity to explore something that isn’t supposed to be defined yet. One of the most limiting outlooks you could impose on yourself is the assumption that you already know what you’re looking for, that you let your confidence run its course instead of inviting doubt in to challenge. Even for those who pursue a pre-professional path in undergraduate school, should be more open to the wide range of possibilities that comes with their desired careers. And though I periodically envy those who are perfectly content with the plans they are pursuing in college (the pre-meds, the engineers, the nurses, the Whartonites, etc. ), I have come to accept that I cannot expect myself to move any faster towards a lifestyle that I only want immediately out of haste. I’ve decided that understanding who I am and what my affinities are will be my leading priorities of my undergraduate education. Perhaps I will be lucky and find my ‘true calling’ – if it exists – but before I throw another graduation tassel in the air, I will be content if I can come closer to understanding selflessness through selfishness. One year ago, I would have hoped that I could, at the very least, share what my intended major was by now. Though I’ve personally come a long way from being someone that gets too caught up with regrets, the one advice I would give anyone about declaring a major is this: choose something you really like. I will not deny that planning very far ahead has great value but the greatest value you can be to others, as I’ve come to accept, is when you do something you love. Passion goes a long way. It is what will motivate you to explore new perspectives others will not think about; it is what will naturally convert your setbacks to enticing challenges to overcome; it is what makes what makes work not feel like work; and it is what is most contagious to inspire in others to do the same for them. There was a point shortly after winter break last year that I heavily considered joining the Naval Reserve Officers’ Training Corps (NROTC) at Penn because the discomfort of not knowing what I was to make of myself in college was strong enough to make me willing to substitute a lifetime’s guarantee of stability over a chance to find something I truly love. Very people in the world can honestly say they love what they do, and for many, it’s because they were never given that chance to explore what it is that they like. College will not give you the answer but its environment, its resources, and most importantly, what you choose to do with what it offers you, can bring you closer. I have doubted whether Penn was the right place for me, often at times when things were most challenging and when making oneself vulnerable to comparisons to others was so natural and easy. Three semesters later however, especially in reflecting who I would miss out on becoming without the unique experiences I’ve had as a result of being at Penn and living in Philadelphia (a city I’ve really come to love), I am honestly very content to be a Quaker. I’ve made some very genuine friendships and found really wise mentors here. Sometimes there are too many adventures and ‘coffee chats’ to plan in a week. This past semester was the most challenging for me – academically, mentally, physically, and spiritually – but it has been the best so far. Over winter break this year, I will be deeply assessing the two leading options for my major: a visual studies and cinema studies double major or an individualized major concentrating in adaptation studies. Because I don’t believe my major will be trajectory to any specific career, my decision will ultimately depend on what I think challenges my character and fuels my passions best. Academically speaking, an interdisciplinary approach to interpreting visual content is what I find myself gravitating towards most, with reoccurring side interests in east-west comparative philosophy, minority studies, and communications. Within the Penn community, I am a peer counselor for PennCAP (College Achievement Program) freshman students and a CWiC (Communication within the Curriculum) advisor currently helping Vagelos biochemistry students with their science presentation oral/visual delivery and organization. I recently finished working with a student group planning a weeklong celebration of Asian American heritage celebration at Penn, contributing predominantly in design and marketing. For this upcoming semester, I’m looking forward to cutting back on extracurricular activities with heavy commitments so I can focus more on school, getting back into kendo, and my personal exploration of the arts. There is always more I could share but I don’t want to be too prolix. If after reading this you would like to learn more or share your own thoughts about what I’ve written, I really encourage you to contact me personally. Learning is always reciprocated, never one-sided and engaging with those who come from our school district really holds a special place in my heart. You can contact me at dyanawingtungso@gmail.com and I look forward to getting to know you. I participated in the Physics program at the University of Pennsylvania during the summer before my senior year of high school in 2012. The Ivy League Connection was truly an eye-opening experience for me. Prior to my program I was convinced that the East Coast—thousands of miles away from home—was the perfect place for me to attend college. 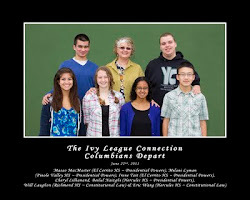 Through the ILC I learned that I was best suited closer to home. 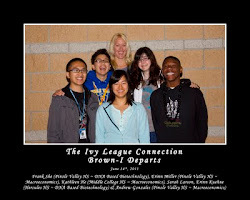 I have just finished up my first quarter at UC Riverside where I am a Neuroscience major. College is tough. Last week my suitemates and I came to the conclusion that while we were all used to striving to get 4.0 GPAs in high school, most students in college are simply striving to pass their classes. Luckily I came in with enough college credits that I acquired during my high school education to have sophomore standing at the university, but classes were still tough for me nonetheless. Attending Middle College High School I thought I had a pretty good idea of academic freedom, but the freedom I now have in college is immense. Breadth course requirements really allow you to expand your knowledge in many different areas. This past quarter I took Comparative Politics, Introduction to Psychology, and a course on smartphones, electronics, and mobile internet. My advice is to really take time to figure out exactly what you’re interested in. Use breadth courses to explore different areas and absorb all the knowledge that you can. I know this is something you probably hear a lot but DON’T PROCRASTINATE! Keep a schedule and stick to it. Sure long nights spent in the common room “studying” and socializing are what make the college experience memorable but the long nights and early mornings soon can take a toll on your grades. Although I have only been a student at a university for a short 10 weeks, I have learned so much. College really is a great opportunity that not many are blessed with so use this time to learn about yourself and the world around us.